The socioeconomic picture of Kien Giang province got brighter in 2018, with 21 out of 22 socioeconomic development targets achieved or exceeded. The gross regional domestic product (GRDP) was estimated to expand 7.51% in the year and the budget revenue reached VND9,950 billion, 7.7% higher than the estimate. Mr. Pham Vu Hong, Chairman of the Kien Giang Provincial People’s Committee, said this success resulted from the high consensus of the entire political system, the effort of the business community and the unity of local people. Cong Luan reports. Could you tell more about the province’s outstanding socioeconomic achievements in 2018 and development orientations in 2019? Lying in the Mekong Delta key economic region and holding numerous advantages in rice production, tourism, fishery and seafood processing, Kien Giang has many good conditions for local economic development and effectively taps available potential advantages. In 2018, the province achieved and exceeded 21 out of 22 socioeconomic development targets. GRDP was estimated to increase by 7.51% over 2017. Budget revenue totaled VND9,950 billion, 7.7% higher than the estimate and 6.78% higher than in 2017. GRDP per capita was US$2,094, equal to 106.29% of the plan. The value of agricultural, forestry and fishery production was projected at VND59,546.21 billion, 1.84% higher than the full-year plan and 6.35% higher than in 2017. By quickly building more than 213 large fields, farmers could better apply science and technology to rice production. In 2018, the province harvested more than 4.26 million tons of rice, 0.24% higher the plan and 4.96% higher than a year ago. High-quality paddy accounted for 76.54% of the total cultivated area. Productivity was estimated at 5.85 tons per ha. Fisheries continued to be promoted with an output of 815,423 tons, 4.01% of the plan and 6.82% higher than a year ago. Industrial production valued VND43,299 billion, fulfilling 95.44% of the plan and rising 10.63% over 2017. 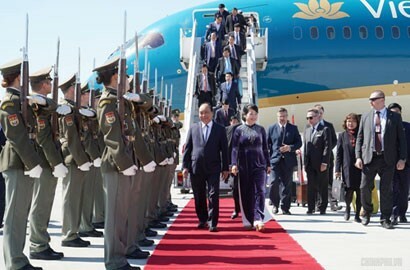 Industrial investment was projected at VND886.46 billion in 2018. Trade and services continued to grow. 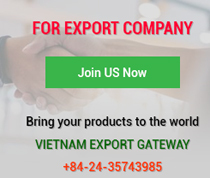 Total retail sales of goods and services reached VND96,106 billion, or 100.63% of the plan and 11.29% higher than a year earlier; export value amounted US$640 million, 23.08% higher than the plan and 35.11% higher than 2017; and import value was US$130 million, 136.36% higher than the plan and 115.16% higher than in 2017. The province’s tourism sector served 7.62 million tourists, 7.3% higher than the plan and 25.53% more than in 2017. Total social investment value was estimated at VND46,264.78 billion, reaching 99.76% of the plan. All investment projects were facilitated for deployment, examined and urged toward quicker progress. In 2018, the province attracted 19 projects with VND12,467.25 billion of registered capital, totaling 749 projects with VND527,314 billion of investment capital, of which 500 projects are operational and near-operational (Phu Quoc district has 46 projects with VND13,472 billion). 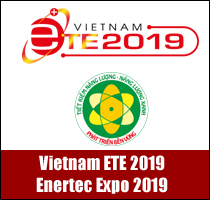 In 2018, Kien Giang province had 1,650 new enterprises, 13.87% more than in 2017, with a total registered capital of VND34,497 billion, bringing the total enterprises to 8,770 with VND91,752 billion of investment capital. Kien Giang also paid attention to developing cultural and social aspects, building human resources and attaining many new achievements. Education and training continued to be improved. Schools and classrooms continued to be invested and upgraded. Public healthcare was focused for better medical care, diagnosis and treatment. Health insurance policyholders increased by 3.48% over 2017. Social security and welfare policies were fully and timely implemented. 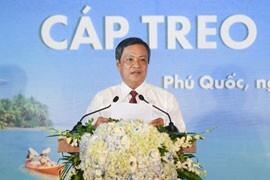 Continuing these positive results, in 2019, Kien Giang will focus on carrying out three strategic breakthrough tasks (improving the quality of human resources and administrative reforms; utilizing all resources to build synchronous transport infrastructure; and building and developing Phu Quoc in the form of a special economic zone); keeping to implement the agricultural restructuring scheme in association with building a new countryside; concretizing mechanisms and policies to encourage clean, organic and high-tech agriculture development; and boosting investment promotion and revoking investment licenses of slow-moving projects. 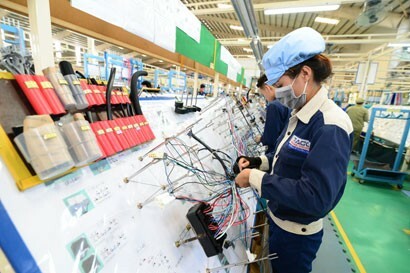 In general, the province targeted economic growth toward quality, efficiency and competitiveness, and strived to achieve economic growth of 7.8% or more, standing among the best performers in the Mekong Delta. In the past years, the Mekong Delta region has been impacted by climate change. To sustain development, all provinces and cities in the region have chosen and persistently pursued the green marine economic model. What about Kien Giang? 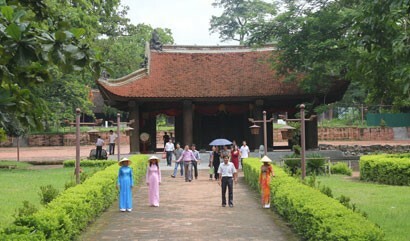 Kien Giang is one of 28 coastal provinces and cities and has diverse coastal ecosystems. Kien Giang has about 63,290 km2 of sea water, 200 km of coastline, and more than 140 islands, with Phu Quoc Island being the largest. Lying in the Gulf of Thailand, Kien Giang can also develop trading ties with Southeast Asian countries. The province has 15 district-level administrative units, including two island districts: Phu Quoc and Kien Hai. The coastal land stretches across seven district-level administrative units with 68 coastal communes, wards and towns out of 145 in these districts. With these position and natural conditions, Kien Giang has a lot of potential and advantages for socioeconomic development, especially the marine economy. The marine economy of Kien Giang has developed comprehensively, accounting for 73.82% of the GRDP. Planning and managing natural resources and coastal and island environments has been strengthened. Every year, maritime sectors increase in output and value. 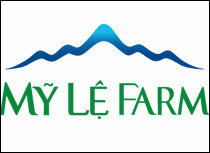 The province annually catches 500,000-600,000 tons of marine products and fish farming harvests more than 217,000 tons. Aquatic and seafood processing and export has been invested for diversification and processing capacity expansion. The province invested to upgrade tourism, trade, transport and socioeconomic infrastructure in coastal areas and islands to turn maritime tourism into a key economic sector in its marine economic development strategy. To promote its results and meet current demand, Kien Giang province focuses on long-term comprehensive solutions to green marine economic development. 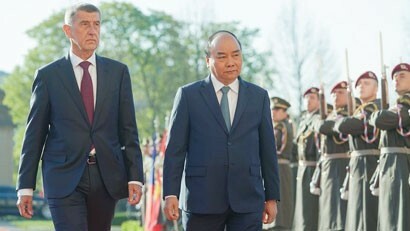 To do so, the province has focused on strengthening Party leadership and State management at all levels, promoting communications and awareness raising of sustainable marine development, reviewing, supplementing and building new plans in connection with maritime ecosystem development, ensuring harmonious cohesion, conservation and development of mainland, coastal, and offshore areas of the province and neighboring provinces. Kien Giang has concentrated all investment resources to develop marine economic infrastructure, encouraged and strongly attracted enterprises to engage in the marine economy; develop the culture and society in the island and coastal areas in association with environmental protection, sustainable preservation and development of marine biodiversity; proactively respond to climate change, rising sea levels and prevent and combat natural disasters; and ensured national defense and security and expanding international cooperation. Kien Giang has great potential for economic development. In the future, what will the province do to effectively tap all potential advantages for economic development? In the future, in addition to focusing on economic restructuring and deeper integration, the province will continue to utilize and effectively exploit all potential advantages for economic development. The province will effectively carry out the Prime Minister's Decision on adjusted Kien Giang socioeconomic development planning to 2020, with an eye to 2030, and seek more special policies and mechanisms for Kien Giang. It will focus on developing Rach Gia City, Ha Tien City and Phu Quoc District to motivate other localities in the province to join their development efforts. It will speed up the implementation of the new countryside construction program, and mobilize priority resources to build socioeconomic transport infrastructure in a bid to make 51% of communes and three districts to meet new countryside standards by 2020. In addition, the province will attach great importance to maintaining and protecting environmental resources, proactively responding to climate change, rationally, economically and effectively utilizing natural resources and minerals. 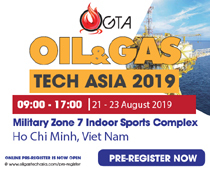 It will focus on developing big cities as a driving force for regional development, building and developing Rach Gia City as a center of economy, culture, science and technology of the province; upgrading Kien Luong district to an urban town and Phu Quoc district into a special administrative-economic zone; upgrading Minh Luong, Giong Rieng and Thu Bay townships to fourth-grade urban centers. 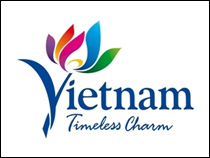 Kien Giang province will promote cooperation and connection with other Mekong Delta localities in socioeconomic development, attract more investment capital, build mechanisms and policies to attract investment to develop industry, expand export production, build brands for consumer goods, enlarge consumer markets. It will build inter-provincial roads and establish travel tours to exploit the comparative and particular advantages of each locality in the province.